You are here: Home/Giveaways/OVER: Write From History Entire Set Giveaway! Plus 30% Off Sale! OVER: Write From History Entire Set Giveaway! Plus 30% Off Sale! Plus save 30% on everything! 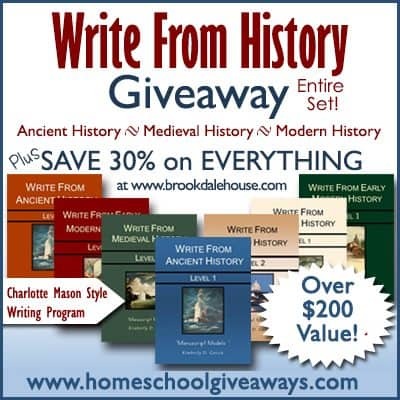 Today’s giveaway is Write From History by Brookdale House. They are being so generous in this giveaway. They are giving away a COMPLETE SET of all of their history books! This is a $216 Value! The Write From History Series is an elementary writing program designed to teach writing via narration, copywork and studied dictation in a Charlotte Mason Style! This writing program teaches grammar, spelling, penmanship, and history—all at once! 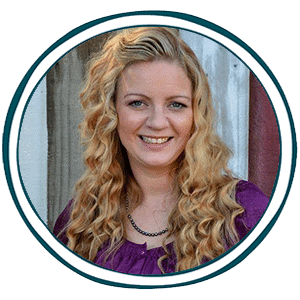 I am a Charlotte Mason Style homeschooler and highly recommend them! You can check out our detailed review HERE. Enter to win and you will get a 30% off EVERYTHING Coupon! When you enter to win, you will be emailed a COUPON CODE good for 30% off EVERYTHING that Brookdale House has to offer after the giveaway ends: Handwriting, Language Lessons, Scripture Memory, and a Charlotte Mason Style Spanish Curriculum! This giveaway ends on 9-26-14.